With so many options, finding the armored car that meets your needs can be difficult, but we’re here to help. The first thing that you need to decide is what level of protection you’re looking for in your vehicle. Take a look at our ballistic specifications chart. Here at International Armoring Corporation, we start our armored window packages at what is known as a “B4” bulletproof rating. The B4 rating provides protection against most handguns. “B5” bulletproof rating then steps up the game to provide protection from AK-47s. Our most popular bulletproof package includes “B6” bulletproof windows. The “B6,” measuring at around 40mm thick, will stop high-powered rifles such as an AR-15, while leaving the passengers unharmed on the inside. The “B6” armoring is the most popular because it’s a great combination of size, protection and feasibility. 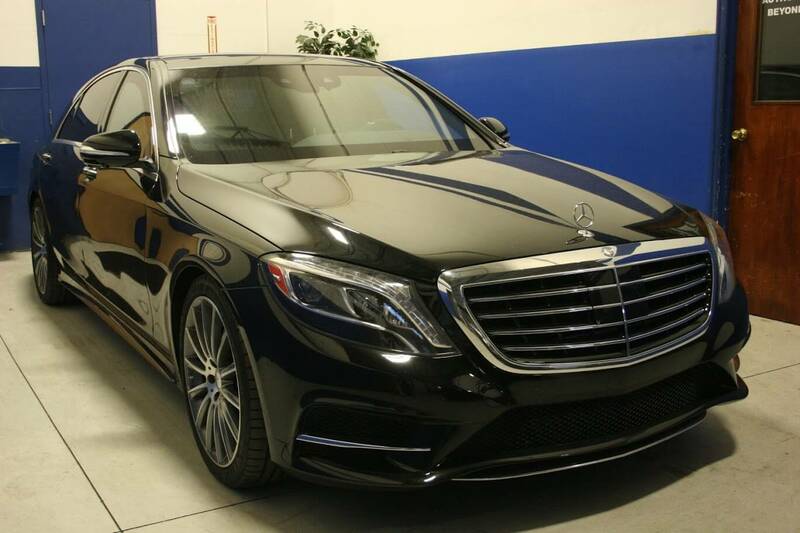 The strongest protection that we provide is known as “B7” armoring, which is the same protection that the President of the United States has on his personal Cadillac. This bulletproof armor will stop armor piercing rounds and essentially anything one could put to their shoulder. Once you have decided what kind of bulletproof windows you’d like in your vehicle, now it’s time to decide on body armor. International Armoring Corporation is home to the industry leader in bulletproof armor, Armormax. The unique thing about Armormax, is that it’s completely custom fit in every vehicle. Clients can decide where they’d like the armor: in the doors, roof, floor, quarters, pillar posts and/or. Clients can decide exactly where they’d like the armor. The most popular package that we have here at International Armoring Corporation is what we call “The Presidential Package,” which consists of “B6” bulletproof windows, full armor in the vehicle, roof protection, and bomb protection in the floor. Once you decide on the armoring package, don’t forget about the extras! International Armoring has additional options that turn an already great armored car into an amazing one. We have run-flat tires, electrified door handles, smokescreens, external PA/sirens, and amplified external listening systems. Contact us for more info, so we can help you build the armored car that fulfills your wants and needs.